Part of the Century Collection by Ottiu, the Charisse Stool will make a luxurious addition to a bedroom or living space. This stylish stool is inspired by Cyd Charisse, an American actress and dancer known for her grace and on-screen presence. 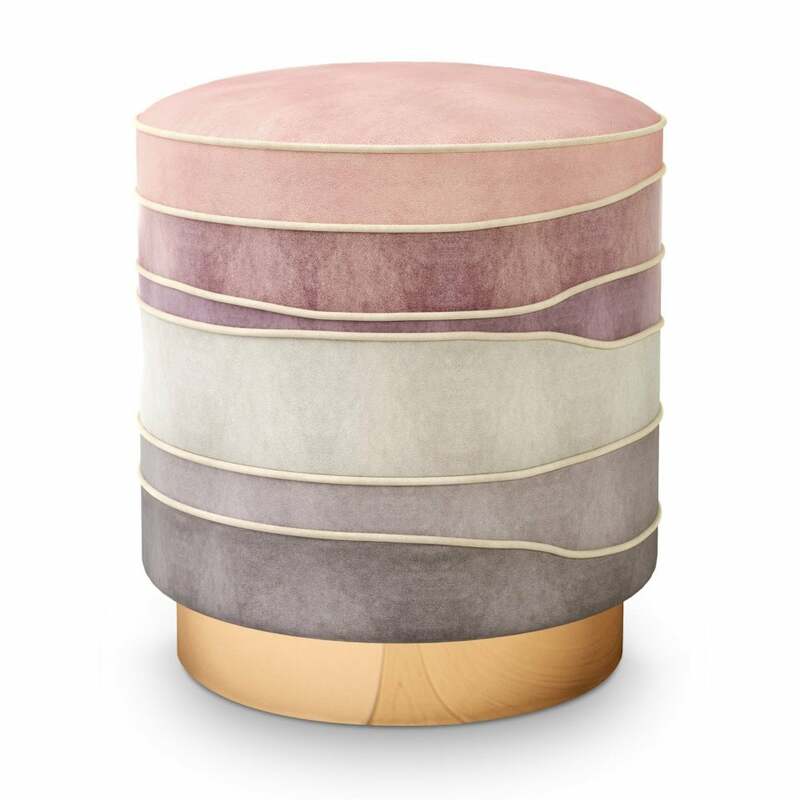 The soft yet striking stool has a mid-century modern shape with six upholstered layers in different tones of purple and pink. The cylindrical frame is supported by a round base in polished brass. This feminine and elegant stool will add a luxe style to any designer living room. Make an enquiry for bespoke options. Priced for Upholstery: Ottiu Fabric. Structure: Beechwood base, polished brass.